Not only does Peerless Food Equipment make high quality food equipment – but Peerless Food Equipment is a great supporter of the United Way – and its agencies. On October 25, 2012, a small team from Peerless spent half a day at a local non-profit agency that needed some help. 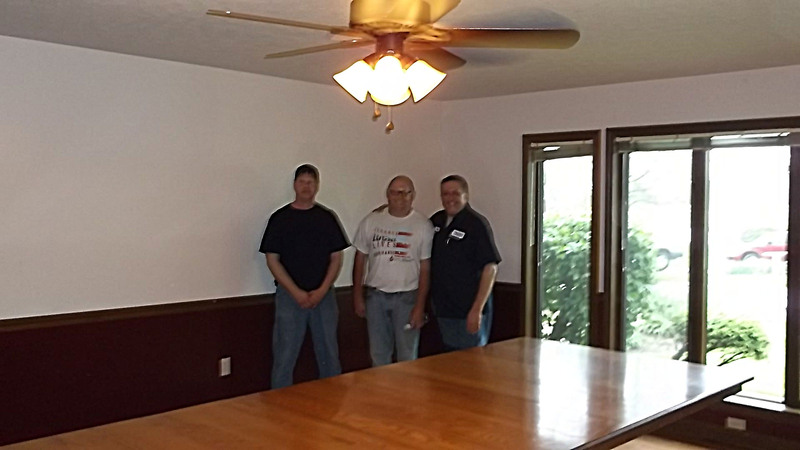 This group of men, volunteered their time for half a day and also secured material donations from some other local companies so that they could fill in leaky door frames and window frames for a local non-profit agency. They worked steadily in the heat of that day and were able to successfully patch 7 windows and 2 doors in need of some attention. Additionally, these guys changed out an old chandelier for a new ceiling fan. Peerless is dedicated to the Shelby County area in terms of being a positive employer in the area, and is also very committed to the local community – making Sidney, Ohio a better place to live, work and grow! If you’d like to see more photos fom the the day, please visit our FaceBook page! AND – Please LIKE US on Facebook! We are working on growing our audience.